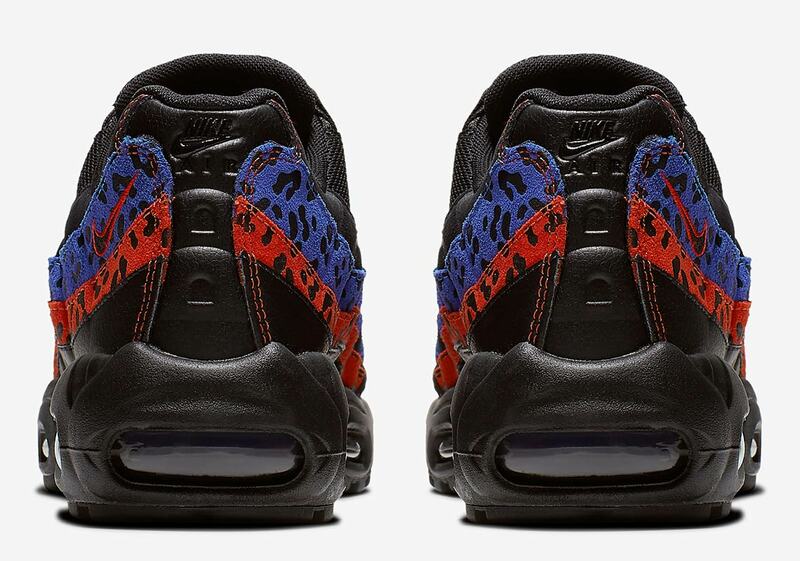 Leopard print has been one of the embellishments du jor for Nike’s classic Air Max release as of late. 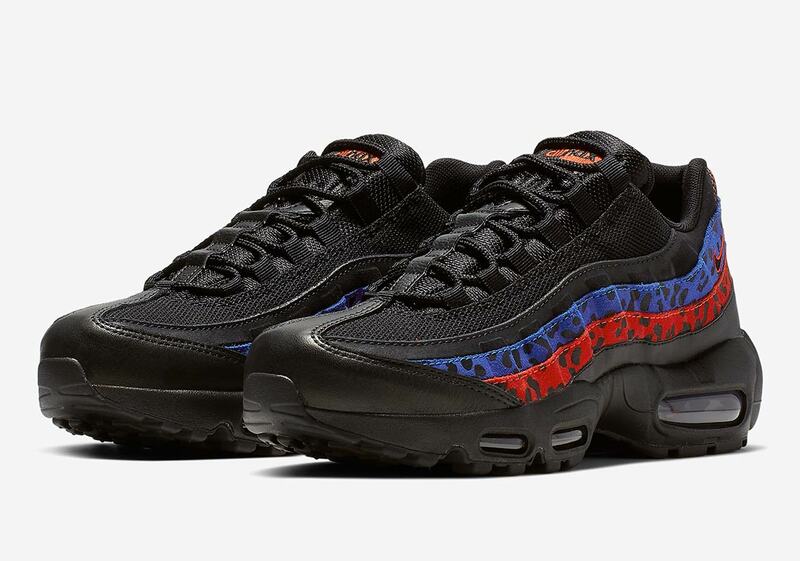 Powerfully printed takes on both the Air Max 95 and Air Max 98 released at the top of the month, and other silhouettes like the Vapormax and Air Max 97 previously joined the action as well. 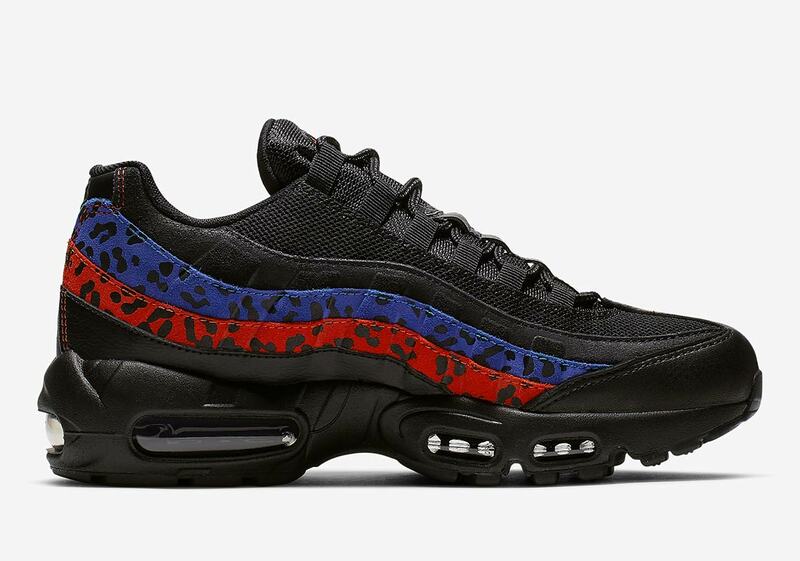 Now, leopard print is coming back to the Air Max 95 again, but in a new style — one that trades out the standard tan background for a vibrant combo of blues and reds. 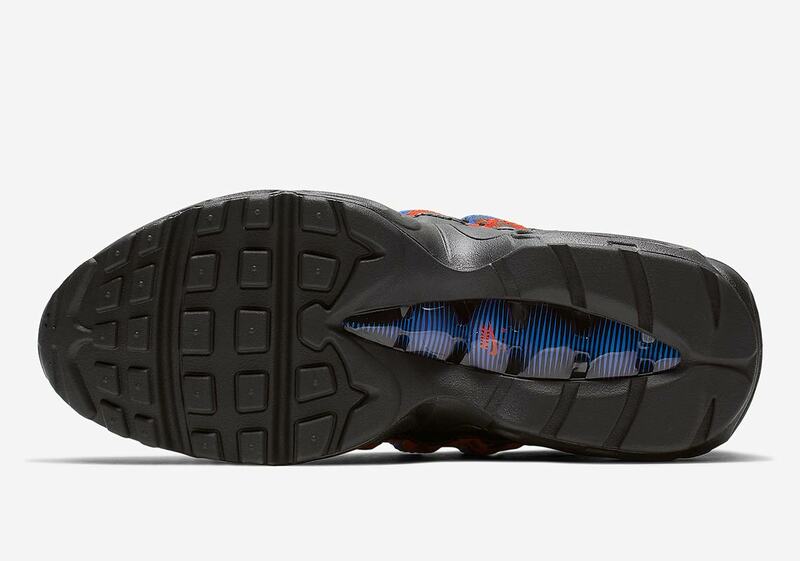 Most of the shoe’s upper is coated in black, but two of the four anatomy-inspired side panels feature leopard print: blue on top, red on the bottom. 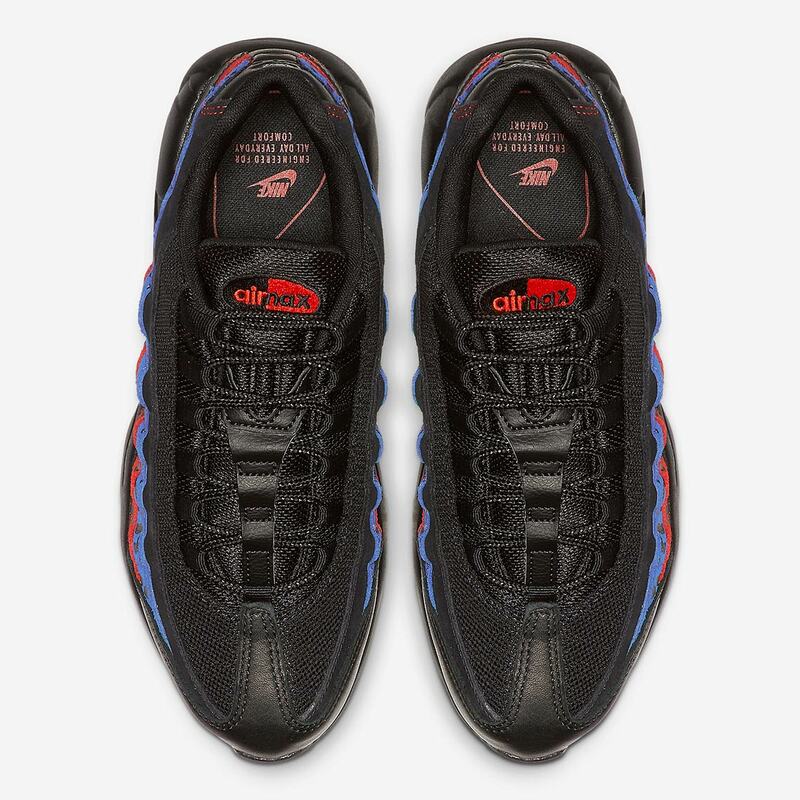 Contrast stitching appears on the heel and a red Air Max badge graces the tongue for further detailing. A black midsole with a smoky black Air Max unit then arrives to completes the stylings. 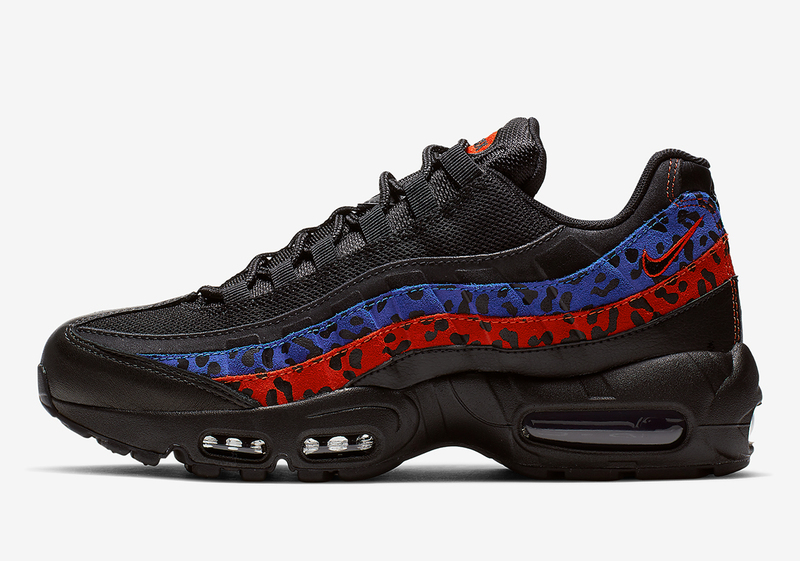 Grab a look at these animal kingdom-approved 95s below, and expect a release on Nike.com soon for $160 USD.